PHOENIX – Glance at the regular-season records and the Phoenix Mercury would seem to be a shoe-in to win the WNBA Finals over the Chicago Sky. Chicago finally has all of its players, and the Mercury know the Sky’s 15-19 regular-season record is deceiving. The Sky better be good, because Phoenix enters today’s Game 1 with an 18-game home winning streak. The Mercury haven’t lost in Phoenix since May 23, to San Antonio in the third game of the season. The Mercury beat Chicago twice in the regular season, but the Sky were missing star forward Elena Delle Donne and point guard Courtney Vandersloot for both games. “We’re all going to have to play our best basketball in order to compete and get some wins out of this,” Delle Donne said. 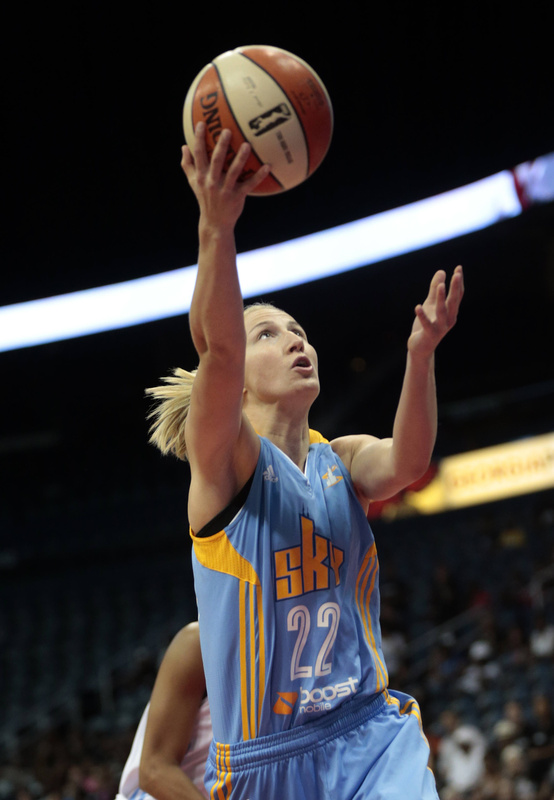 Delle Donne and Vandersloot each missed 17 regular-season games, Delle Donne because of a recurrence of Lyme disease, Vandersloot with a knee injury. The list goes on. Center Sylvia Fowles missed the first 14 games due to hip surgery, and guard Epiphanny Prince was out the first seven games due to physical and mental exhaustion. Chicago isn’t completely healthy. Delle Donne is nursing a sore back. Phoenix rolled to a 29-5 regular-season, the best mark in league history. The Mercury swept Los Angeles in two games in the first round of the playoffs, then pulled out a 2-1 triumph over Minnesota in what many thought was a matchup of the league’s two best teams. The Mercury vow no letdown against Chicago. The 6-foot-8 Griner is surrounded by experience, including Taurasi and Penny Taylor, teammates on the Mercury’s two WNBA championship teams, in 2007 and 2009. “We don’t care about anything but getting the championship,” Taylor said.